LIEQI LQ – 018 3 In 1 180 Degree Fisheye Photo Lens a 3.24€ -22%! LX – 01 Detachable Wide Angle + Micro + Fisheye Macro Camera Lens Kit a 2.24€ -6%! 3 -in a 1.38€ -9%! Old Shark 235 Degrees a 2.42€ -9%! LP 3001 3 in 1 a 1.32€ -9%! LP 3001 3 in 1 a 1.38€ -9%! 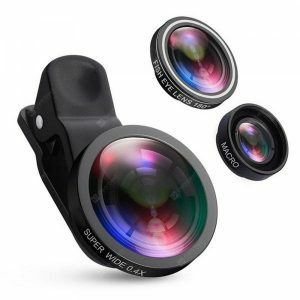 LX – 01 Detachable Wide Angle + Micro + Fisheye Macro Camera Lens Kit a 2.55€ -9%!